Winter RV camping in MA can be fun as long as you go prepared. Just as with any outside winter activity, bringing the correct supplies and a sense of adventure are the best way to create wonderful memories. There are several regions of Massachusetts that offer RV camping. Some are more geared toward short stay family camping while others focus on long term "residential" type camping. Winter camping may also be limited due to weather conditions so the best bet is to call ahead and confirm both size and length of stay restrictions so you won't be disappointed. The Berkshire region is located in the western counties of Massachusetts and includes parts of Berkshire, Franklin, Hampshire, Hampden, Litchfield, and Fairfield counties. There are several hiking trails and also Bash Bish Falls which is the tallest waterfall in Massachusetts. For inside entertainment, many tourists visit the Berkshire Botanical Garden or Herbert Arboretum. Walker Island has a store and full RV hook up. There are also laundry facilities on site. Prospect Lake has both RV sites and some cabins along the shore of the lake. Camp Overflow is next to the Otis reservoir and is on over 100 acres. Shady Pines has both open fields and wooded trails for hiking. Peppermint is a smaller RV park with both open and wooded camp sites. The Pioneer Valley region is also located in western Massachusetts and includes the counties of Franklin, Hampshire, and Hampden. The Connecticut River flows through the valley and was formed during the Triassic period. Tourists can glimpse ancient dinosaur tracks during the summer months. Pioneer Valley is known for its many colleges, Amherst and the University of Massachusetts-Amherst being the most popular. Bonny Rigg is open year round and has spots suitable for large motor homes. Prospect Mountain is located at the base of the mountain and accommodates RVs up to 40 feet. Southwick Acres is a long term or year round camp site. Sodom Mountain has large campsites out of sight of each other in a rural setting. Sunset View Farm offers both tent campsites and RV sites. The Minutemen area is named for the militia during the Revolutionary War and includes Gloucester, Boston, and Salisbury. This area has a significant amount of historical attractions such as Dogtown Common, Ravenswood Park, and the Annisquam. The city of Boston is home to the Boston Opera House, Boston National Historical Park, John F. Kennedy Library, and the New England Aquarium. For sports fans there is the Boston Celtics and Boston Red Sox. Camp Ann is about 30 miles from Boston and close to Gloucester. Pine Acres offers year round camping and has RV spots right on the lake. Peaceful Pines is exclusively a family oriented campground and may be closed during inclement weather. Lamb City is a rustic campground at the start of the Mohawk trail. The Sturbridge area is located in central Massachusetts and encompasses Middlesex, Suffolk, and Worcester counties. Sturbridge is a town in Worcester county and is known for its Old Sturbridge Village which is a living museum that portrays how every day life in the 1830's would be. Wells State Park is also located in this region and has camping and hiking. Quinebaug Cove is a large year round campground that is near the Brimfield reservoir. Village Green is near Old Sturbridge Village. Lake Manchaug is situated on the lake with lake side campsites. Oak Haven is located on a private nature preserve. As you would expect, the Pilgrim area is named for the pilgrims that arrived in America via the Mayflower. Located in eastern Massachusetts, the Pilgrim area includes Bristol, Norfolk and Plymouth counties and encompasses the towns of Foxboro, Mansfield, Middleboro, and Plymouth. Many tourists in this area make a point to visit Plymouth Rock, Pilgrim Hall Museum, the 1677 Harlow Old Fort House, and Burial Hill. 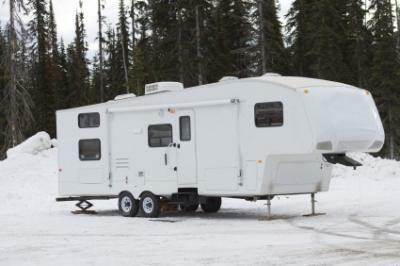 Ellis Haven has sites that accommodate full size RVs and even includes cable TV hook up. Pinewood Lodge has over 250 sites for both tent campers and RVs. Sandy Pond is near the entrance to Cape Cod canal. Canoe River is a family oriented campground with wooded campsites. The Cape Cod area is along the coast and includes the towns of Cape Cod, Falmouth, North Truro, and Provincetown. In addition to the beautiful beaches, there are golf courses, fishing, boating, and over 100 walking trails. Sweet Water Forest is on 60 acres by a lake. Atlantic Oaks has pull through sites and offers normal hook up plus cable TV. Horton's has 40 acres of both open and wooded campsites. North of Highland is located along the Cape Cod National Seashore. Coastal Acres is close to Provincetown. Sippewissett can accommodate RVs up to 34 feet. Due to potential snow and severe cold weather, you should also make sure your water and sewer hook up hoses are insulated before taking an RV trip in Massachusetts during the winter months. This will prevent issues with frozen or cracked pipes. You will also need to bring along a portable generator and kerosene heater in the event your campsite hookup has problems supplying power to your RV during heavy snows.